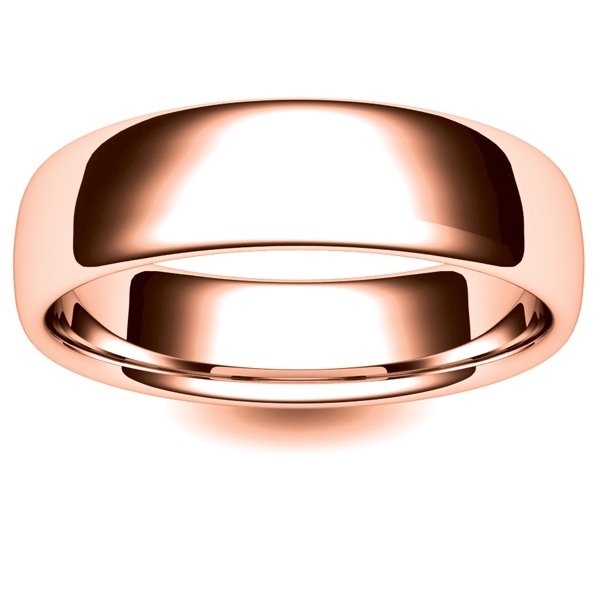 Rose Gold Wedding Ring Heavy Slight Court 6mm. 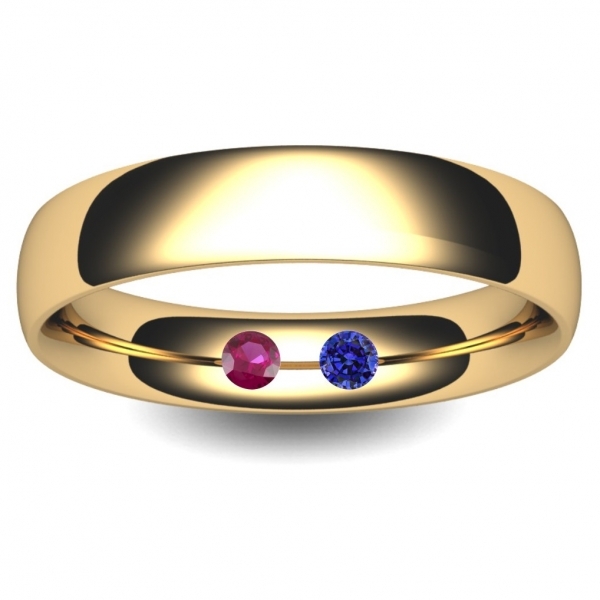 Ring Depth of the heavy is 1.7mm, and the very heavy is 2.1mm (other depths available in Rose Gold Slight Court Weddng Rings are, light 1.0mm, medium 1.3mm and medium heavy 1.5mm). 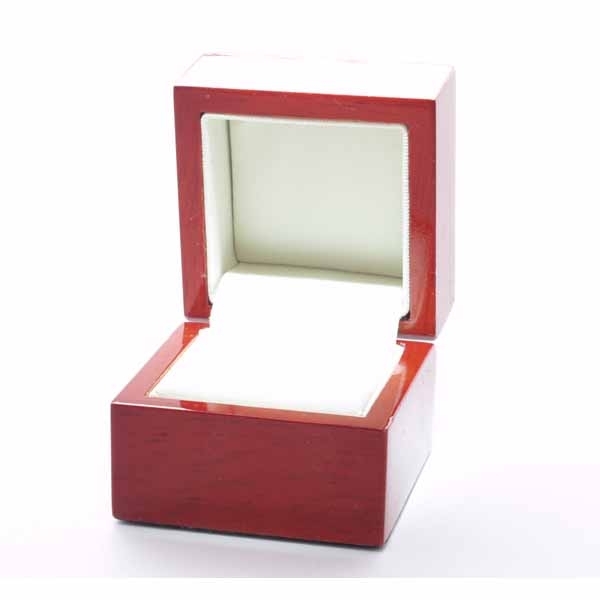 You can also add engraving on the inside of the ring. 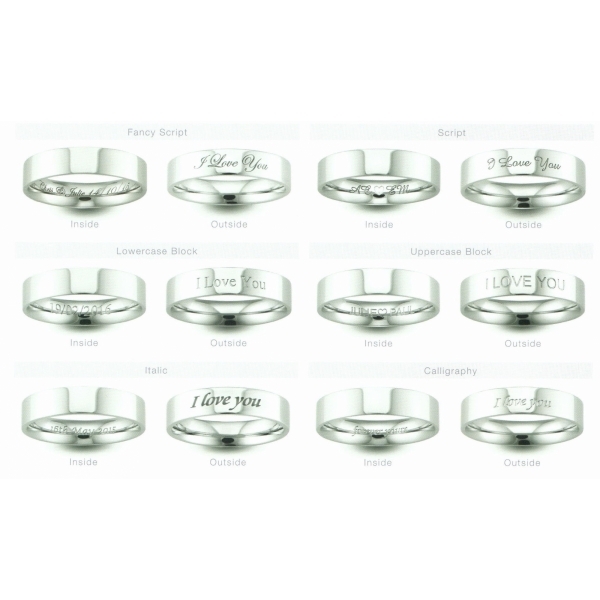 Choose the font from the image pick the option you want from the engraving drop down and tell us what you want engraving in the special instructions box you will see when checking out. 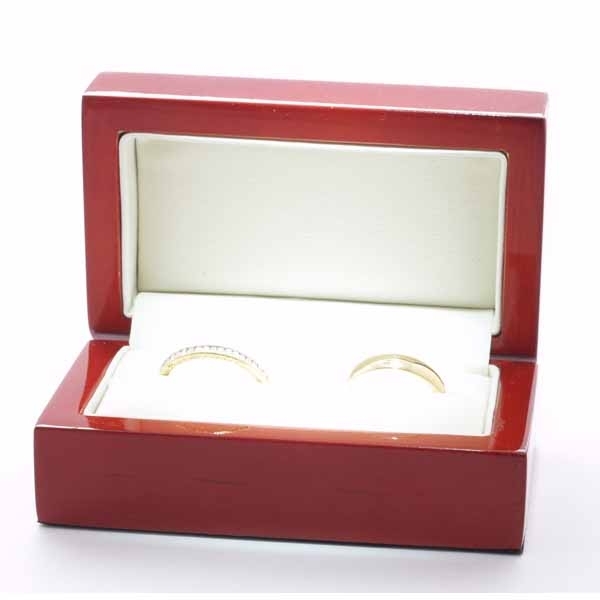 Rose Gold Flat Court Weddng Rings which are flat on the outside but still rounded on the inside. Rose Gold Court Wedding Rings which are rounded on the outside and the inside. 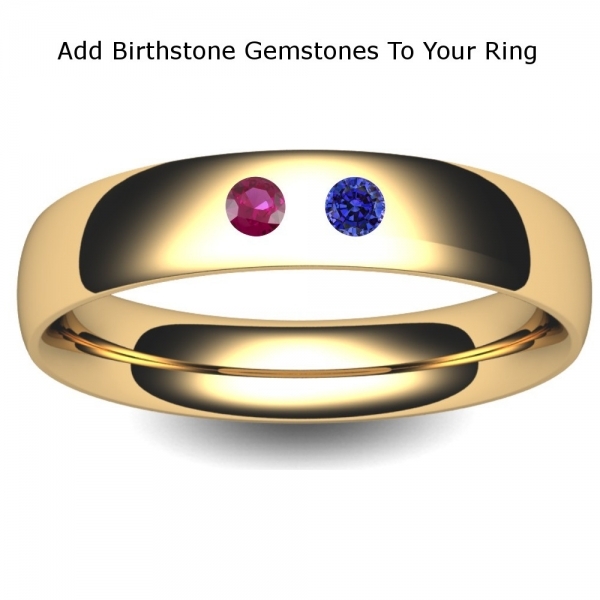 Adding A Birthstone/s : To make your ring special and unique to you why not add up to two birthstones using the options provided. If you want one included for your whole family just contact us to arrange. 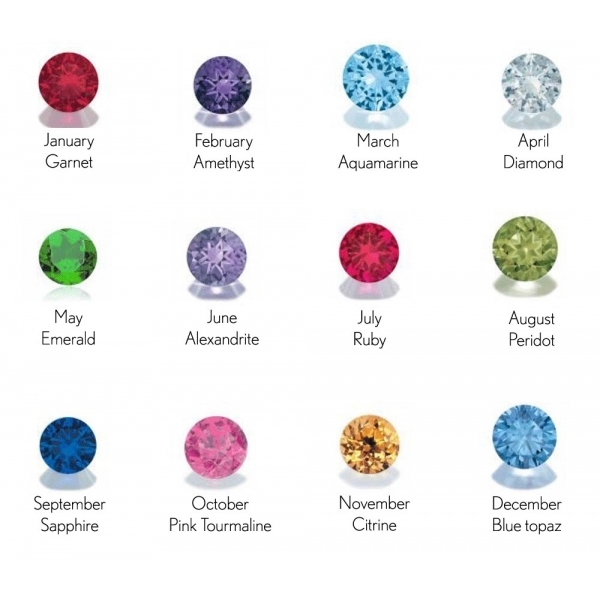 The birthstones will be approximately 2mm wide.